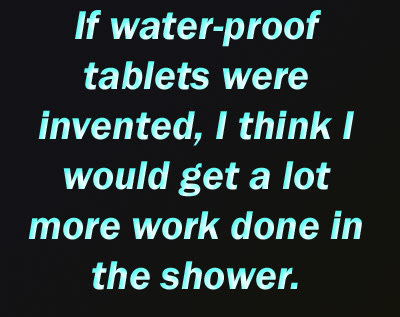 If water-proof tablets were invented, I think I would get a lot more work done in the shower. 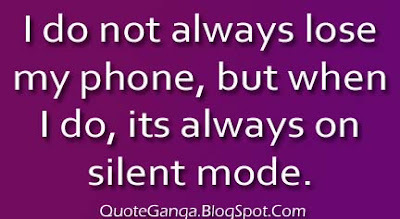 I do not always lose my phone, but when I do, its always on silent mode. My sweet phone: Sometimes I drop you, say I hate you, throw you, lose you. I forget about you but I just can not live without you.